Montenegro is a small astonishingly beautiful country, neighboring on Croatia, Bosnia and Herzegovina, Serbia, Kosovo, and Albania. 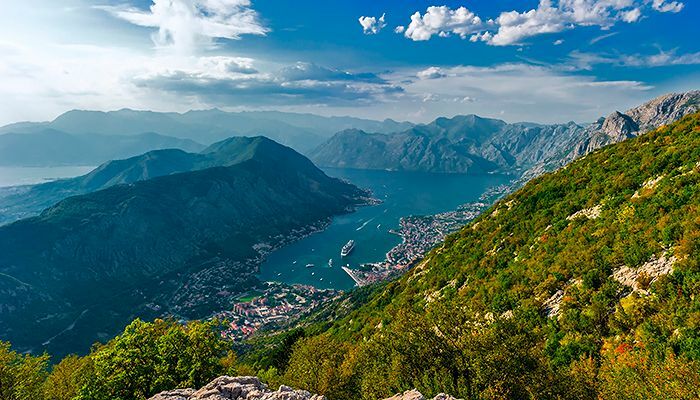 Montenegro has both, a picturesque coast and a mountainous northern region. In the past, it inspired poets and writers such as Lord Byron, Bernard Shaw, and Marguerite Yourcenar. They were all fascinated by the atmosphere of old medieval villages and towns, its timeless appeal, and unique places, where beautiful architecture meets pristine nature. The Montenegrin coast has 72 km (45 mi) of beaches and many well-preserved beautiful ancient coastal towns. If you really want to relax, unplug, and refill your batteries, look no further. Montenegro will make you forget all about the worries of this world. It is a great destination for people who like good food, crystal clean sea, nice towns and “laid back” atmosphere. This route idea is just a suggestion and can be tailored according to your wishes. It is merely an example of the places and destinations you can visit in a single week of your cruise. The route is perfect for families or groups of active seniors. Children will have a lot of opportunities for swimming, water sports and enjoying the sun. Their parents will be able to relax, enjoy the sea, and visit several different towns and beautiful places. Seniors will have a calm and laid back cruise and a lot of possibilities for sightseeing and enjoying nature. You can start the cruise in Kotor, a great historic city with impressive medieval fortifications that is located in the Bay of Kotor. This old Adriatic port and its surroundings form an impressive and picturesque Mediterranean landscape. You will be amazed by the old town of Kotor and the natural beauty of its bay. 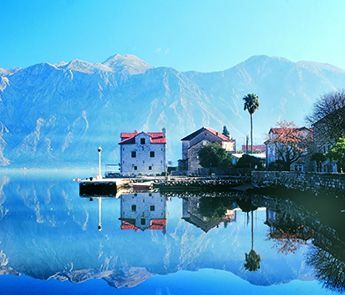 In Kotor you will be accommodated on your gulet and you will have a chance to explore this special town. 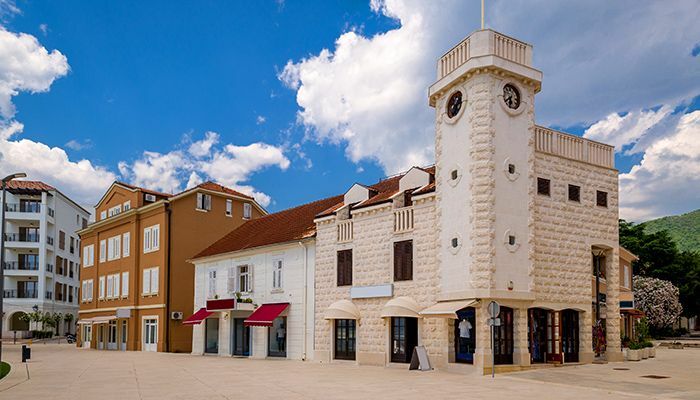 The city offers many monuments and places for sightseeing and has one of the most preserved medieval old towns in the Adriatic that is included on the UNESCO list of world heritage. You can finish the tour of the city with a nice dinner. The next day you can cruise through the Boka Kotorska (The Bay of Kotor), known simply as “Boka” (“The Bay”), a major natural and cultural region of Montenegro that is also protected by UNESCO because of its rich heritage. 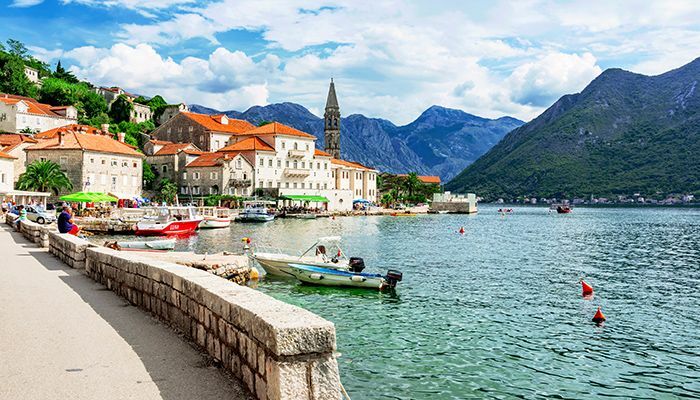 In Boka, you can stay on the anchor, enjoy the Adriatic sea, and have a tasty lunch. In the evening you can visit a coastal town of Herceg Novi that is located at the entrance to the Bay of Kotor and at the foot of Mount Orjen. 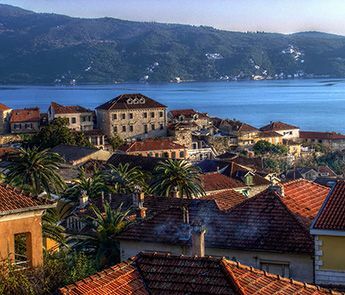 Herceg Novi had a turbulent history that created an interesting, diverse and picturesque architectural image of the city. The town houses many cultural landmarks (castle, clock tower, churches, squares) and is also known as a spa and healing center. Next morning you can cruise to Trašte Bay in the Luštica peninsula where you stay on the anchor to enjoy swimming and sunbathing. Then you can visit the center of Montenegrin tourism, the Budva riviera. The coastal town of Budva is a well-preserved medieval walled city with beautiful beaches and diverse nightlife. The riviera has some of the most attractive beaches of the south Adriatic and the most pleasant climate in Montenegro. Although Budva is noted for its long history and well-preserved Old Town, it is primarily known for vibrant atmosphere and lively nightlife. The Old Town and its promenade house numerous restaurants, bars and clubs. On the way to the next stop, Ulcinj, there are numerous possibilities for anchoring along the Montenegrin coast, enjoying the beautiful Adriatic beaches and swimming. 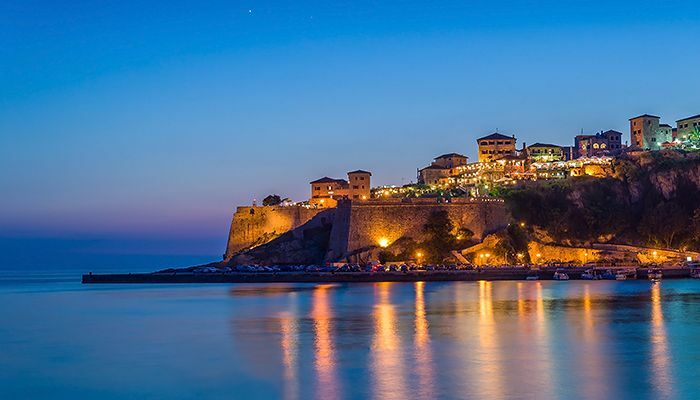 Ulcinj is a small town on the southern coast of Montenegro and one of the oldest settlements on the Adriatic coast with a very long history. 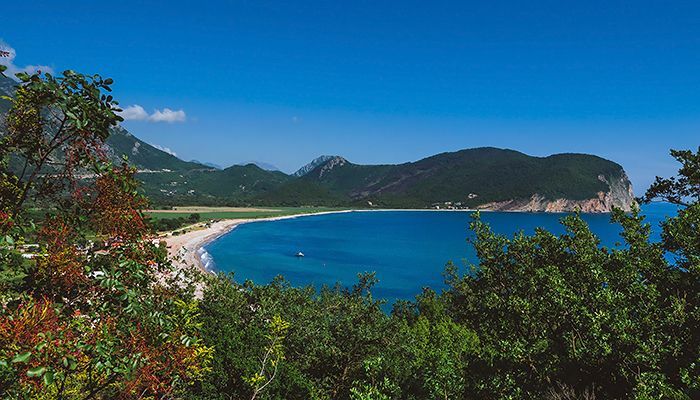 It is famous for its sandy beaches, most of all Velika Plaža (Long Beach), the longest beach on the Montenegrin coast. 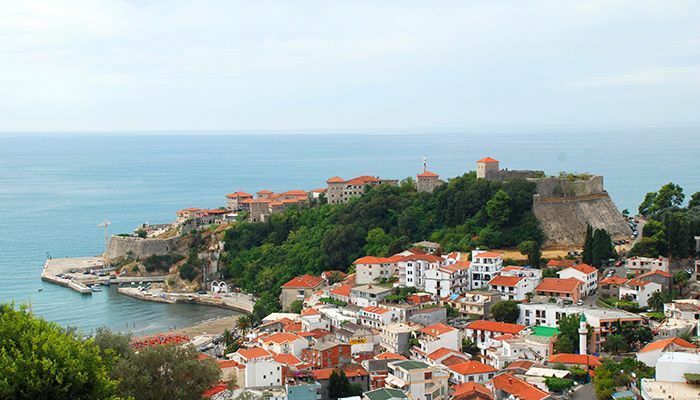 The Old Town of Ulcinj that sits atop of the mountain is an attraction on its own with its 2000-year-old castle and a great view of the coast. You also have a chance to visit a nearby island of Ada Bojana for its peaceful atmosphere and many options for water sports and swimming. The cruise continues back up the Montenegrin coast to visit more beautiful beaches at the town Petrovac and Bigova village. 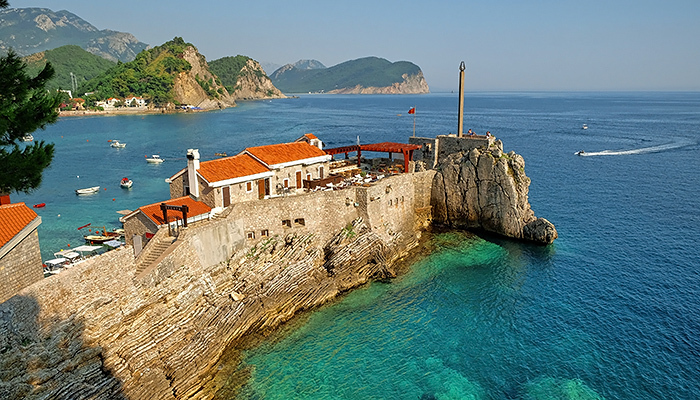 Petrovac is an old coastal town with a long sandy beach and has a calmer atmosphere compared to a more lively nearby city of Budva. Bigova is a village situated in a small sheltered bay with rocky beaches and clear blue water. It combines modern amenities with the timeless feeling of an unspoiled fishing village. Bigova is a great place to relax, enjoy the sea, rejuvenate, and try some tasty seafood. The cruise brings you back to the Bay of Kotor and to the coastal town of Tivat located in the central part of the bay. Although it is the youngest town in the bay, Tivat offers many great destinations, the magnificent sandy beach at Plavi Horizonti, the flowers’ island Ostrvo Cvijeća with sacred monuments, a botanic garden with exotic tree species, and the nearby green island of St. Mark. Last stop before the end of the cruise and return to Kotor is the small town of Perast that is situated on a cape that separates the bays of Kotor and Risano. The city lies at the foot os St. Elijah hills and will amaze you with beautiful nature, great beaches and crystal clean water. Nearby Perast there are two interesting islets with picturesque chapels. The first islet is called Sveti Đorđe and houses a chapel dedicated to St. George. The second is the only artificially built island in the Adriatic that was constructed in the 15. century upon a rock after two Venetian sailors from Perast found a picture of the Virgin Mary on it. The islet is thus known as Our Lady on the Rocks.